I, like Suzzen, have some news for you! I’ll start with the less enjoyable part: Bookwyrms will update now once a week until the end of the year (which is about 6 weeks). This is due to several reasons, mainly me being without a buffer and not having the time to make more than two pages a week (sometimes even having trouble to finish those two pages with an acceptable level of quality). I’m getting into the final part of volume 1 and I really need the script to be perfect, and the pages to be as good as they can be. I think it’s worth it to allow myself the time to do that, so that this comic can be the best I can make. 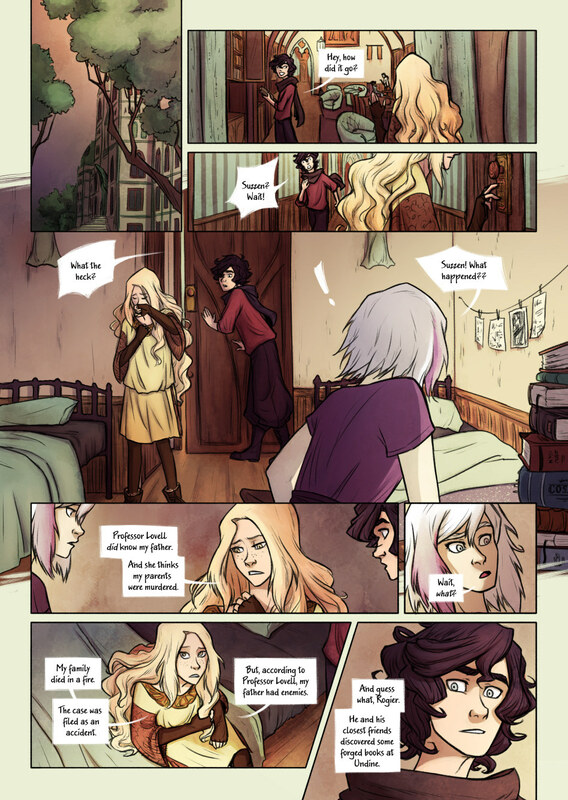 So, starting next week, Bookwyrms will update only on Thursdays. I am pretty positive that I will be able to go back to two pages a week in January. Thank you all so much for understanding! Now for the better news! Bookwyrms is having its 1st anniversary next Saturday 26th! I’m very excited about it and I’m planning a few things to celebrate it ^o^ I will “freshen up” a bit the website, will add the long due pages for Extras and Fanarts, and a new support wallpaper will be available! 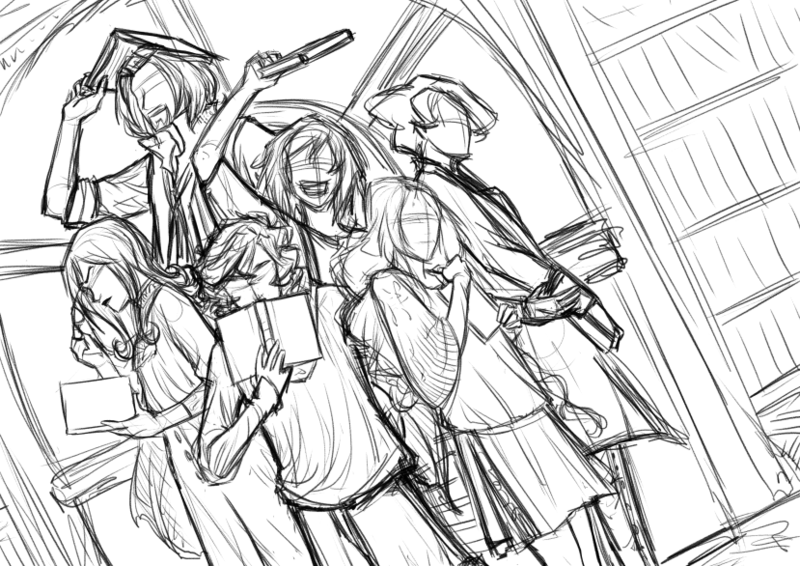 Finally, as a thank you for helping to promote Bookwyrms, I will choose someone randomly between the people who share the posts about the 1st anniversary on social media and they will make a special appearance in the comic! I will explain everything in detail next week. For now I’ll leave you with a sneak peek at the new wallpaper in the works. See you next Thursday! best not to judge before the book is covered!